So I decided to just keep this one simple. 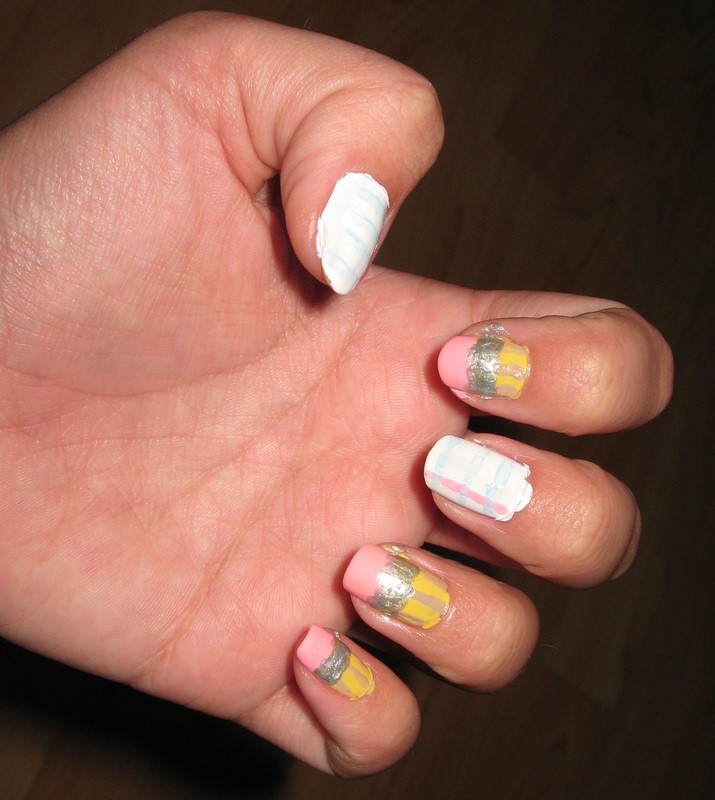 I just used my two basic metals, gold and silver, and just alternated them from right to left. 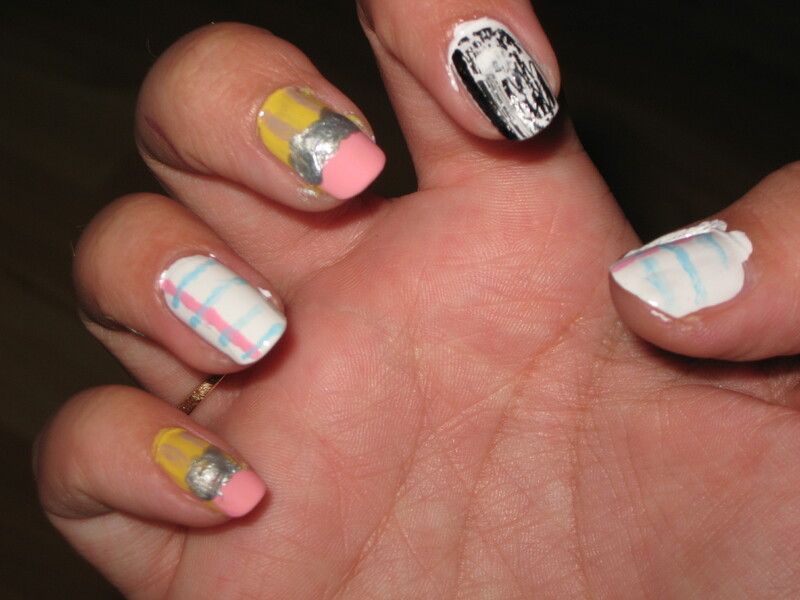 By the way, those nail decals were a pain to get off of the nails. Took about 10+ cotton balls. Yikes. 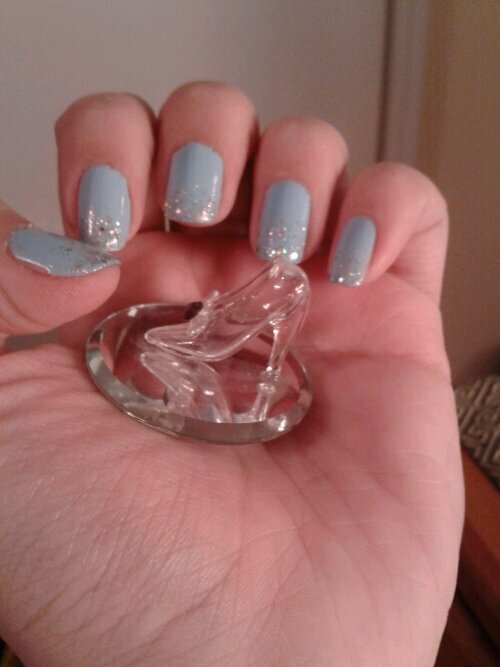 These nails are inspired by Disney’s Cinderella. Her blue dress with just a dash of Fairy (Godmother) dust. And every girl should have a glass slipper. A sunbeam to warm you, a moonbeam to charm you, a sheltering Angel so nothing can harm you. This is part of an Irish blessing and I thought it was so pretty, and it reminded me of the silver-tipped blue nails I did. 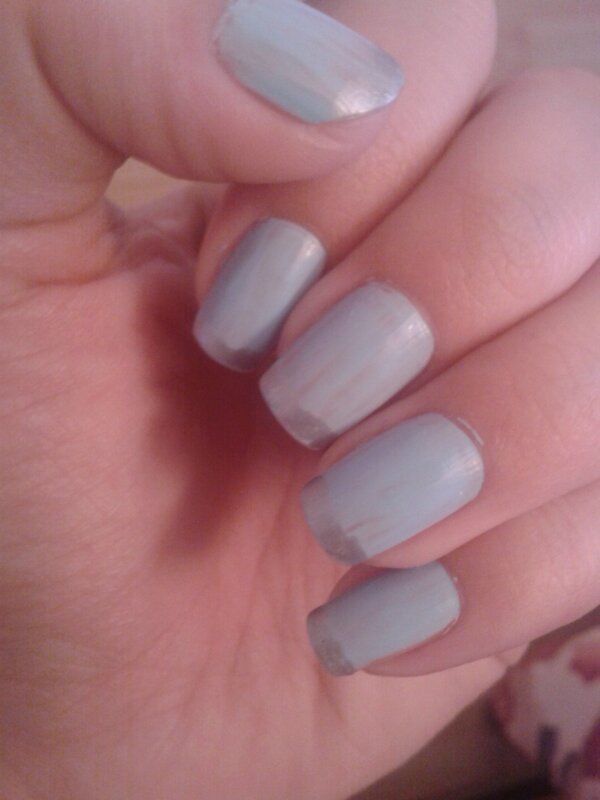 I used a very lite blue, with my silver for the tips. I like to think of my silver polish as Adamantium, but I think it’s called something like Silver Frost, or some such thing. But I got a lot of compliments on them, and they looked really nice. 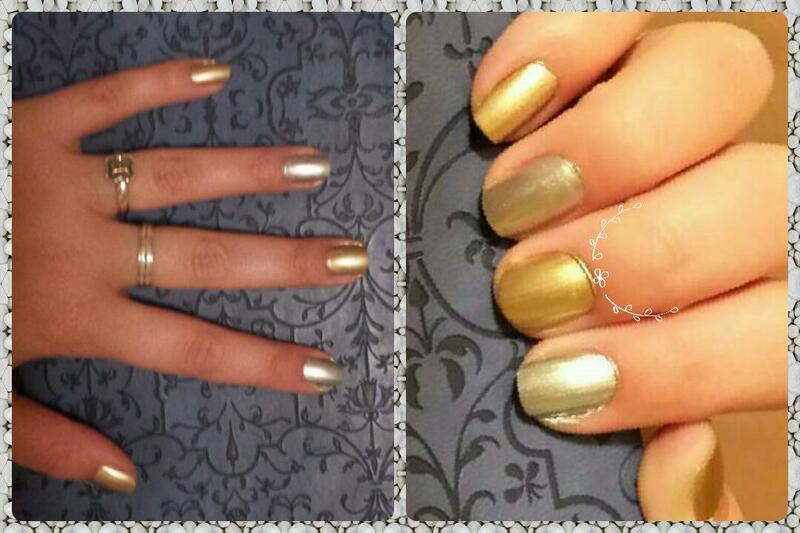 Here is the inspiration from Chloe’s Nails, which is another nail blog. Please check it out, she’s got a bunch of cool ideas and tips. So I saw this really pretty mother of pearl look and realized I could make my own instead of buying the really expensive one. I love the way it looked, very elegant and classy, could be dressd up or down. 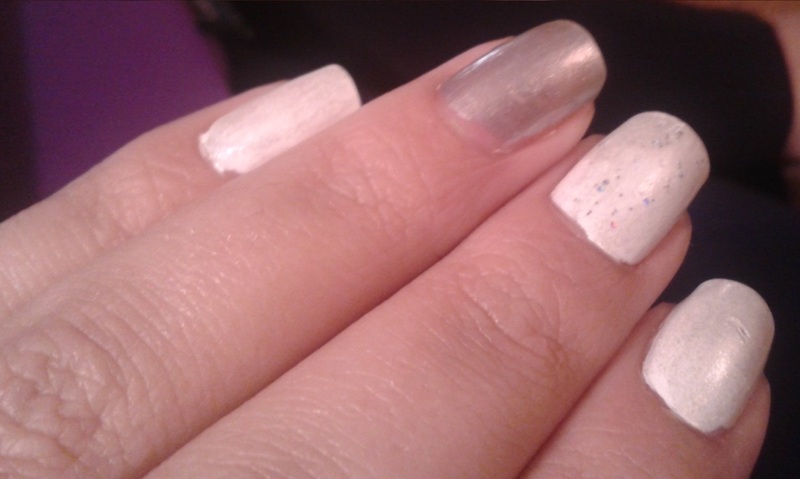 I used a base coat of Sinful Colors-Snow Me White with SC-Out of This World on the left ring finger. 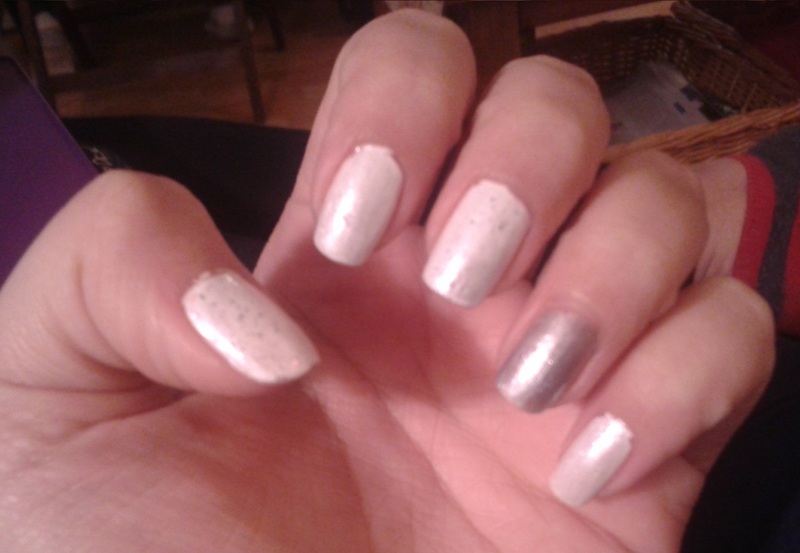 Then I put a top-coat of Sally Hansen;Hard as Nails-Friction Frost. Like I said, turned out great. You don’t always have to have exactly what’s in the bottle, sometimes you can make your own. 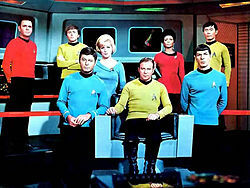 This is the picture that I used as inspiration. It will take you to a really nice nail blog/website. Please check it out. Ok, so I’ve really fallen behind in my posts, I do apologize. So I have several posts to show you. Again I apologize for the delay, these past few days have just been hectic. For Halloween I was Dorothy from Wizard of Oz. I’ve done several Dorothy themed birthdays and I had all the props, and I borrowed the dress from a friend. And other than being a very popular choice, Oz is also a running joke in one of my science fiction shows (Stargate SG1). I had originally done a character on each nail, but they were very blah. So I left Glinda and Elfaba, as well as one Tin Man. 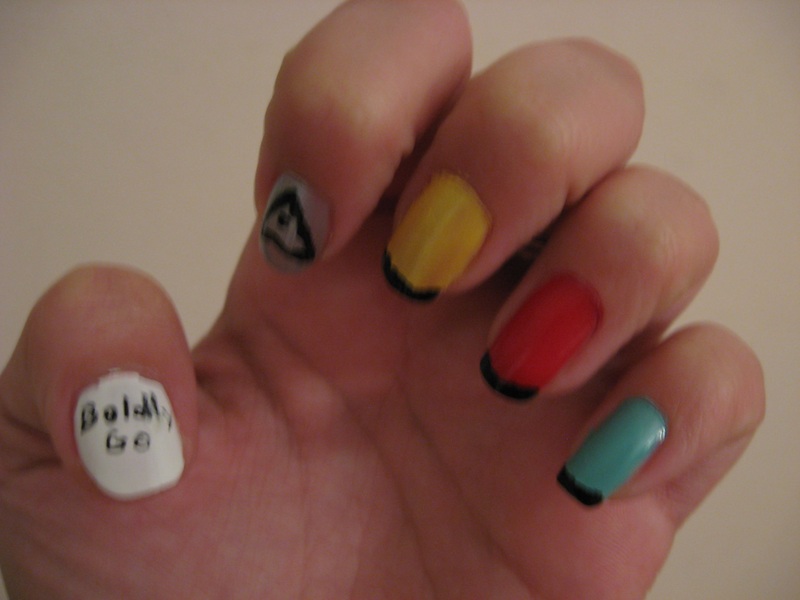 Finally, I did my nails for a Doctor Who convention. 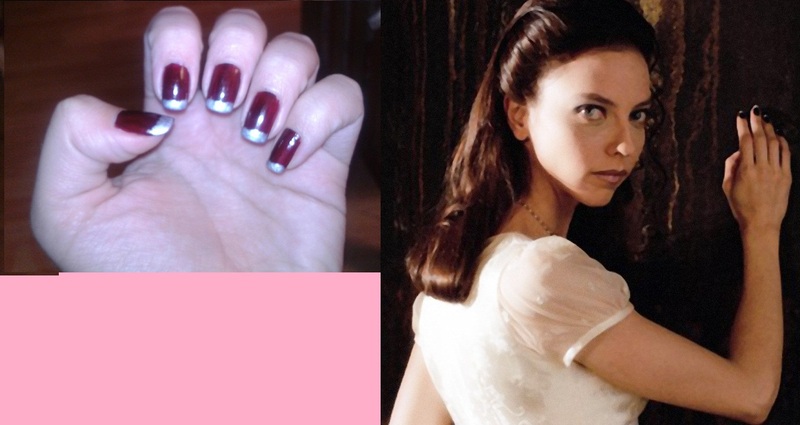 I went as Amy Pond, and she tends to go for the more funky nail colors. 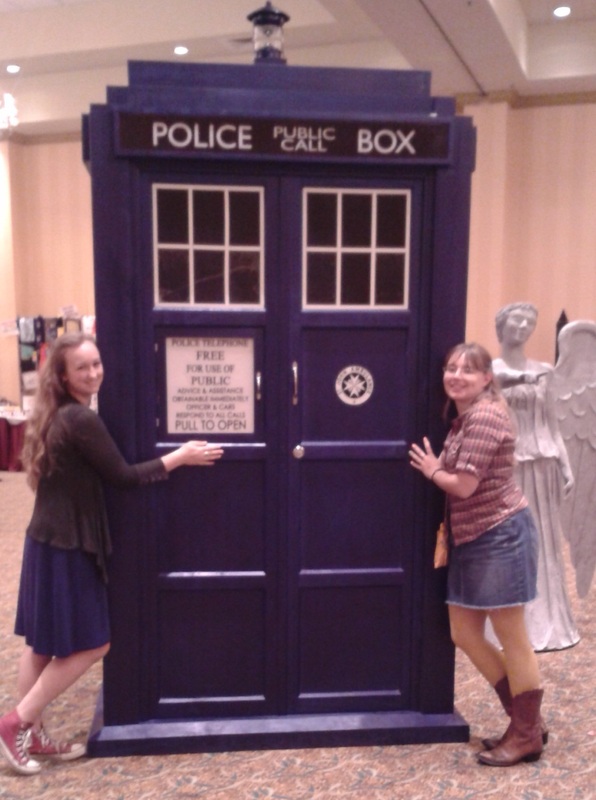 We had so much fun at the convention! It’s back to school time!! I know that most students have already gone back to school already, but my class starts Monday. I’m really excited because I get to go observe and participate in a school. So of course I had to do my nails for the occasion. 🙂 I saw most of these on Pinterest, but of course made them my own. For the composition notebook I used a black crackle, which really turned out great and totally looked like what I was going for. I’m so excited for school and now I’m prepared for it, complete with paper, pencils and notebooks. I also did my toes. One has to go all out. Education here I come! 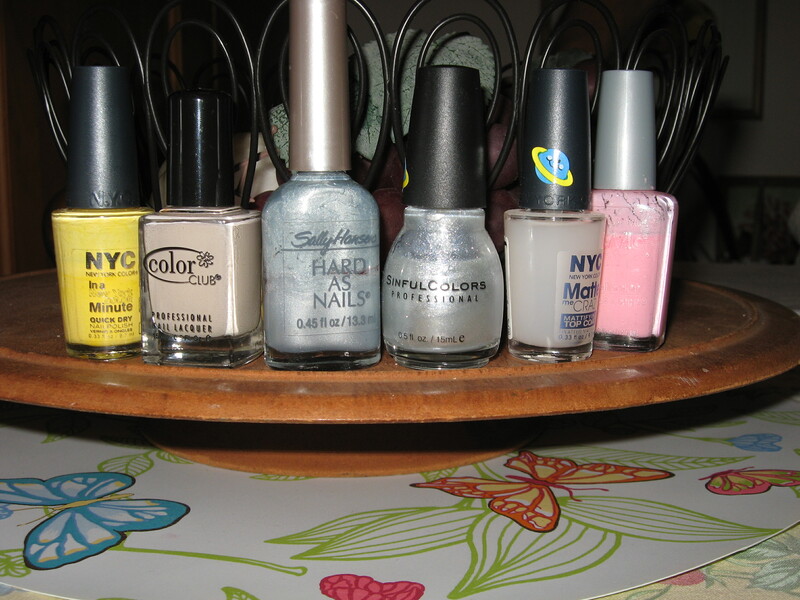 Below are the polishes that I used. I used a matte coat on the pink so they look like erasers! The crackle came out great!